At Lancaster Paving Pros, we are passionate about providing premium paving solutions for commercial paving in Lancaster, and residential clients throughout Lancaster, PA. We are top rated, experienced, licensed, and insured paving contractors ready to help with all your asphalt needs. Our costs are affordable, and our contractors are always friendly. When you driveway paving in Lancaster, parking lot or a specialty project paved, turn to our experts. Contact us today to get a free estimate for your next asphalt paving project. Our team of asphalt paving contractors provides specialized paving services throughout Lancaster, PA. We work with a variety of clients offering a variety of services. Our primary mission is to make sure your property looks amazing. Whether you need a few repairs made to your asphalt or if you need your entire parking lot resurfaced, we are happy to help. Using the best asphalt materials and the highest level of paving equipment, you can count on our team for a job well done. Fully licensed, bonded and insured, we are equipped to handle any sized job. Our job is to give your job our attention and expertise. By using the industry’s latest and greatest materials, techniques, and processes, we are better able to give our paving clients the best possible results. From installation services to repairs, we do it all as quickly and as efficiently as possible. Give our paving company a call for a free paving estimate. Our team works tirelessly to give your private property or commercial property the highest quality finish. As a local team of experienced paving contractors, we are dedicated to the task at hand. We have trained our team to be the best at what they do, and we’re confident you find our residential asphalt paving services 100% reliable and trustworthy. Our commercial clients in Lancaster, PA know how to provide a professional result for professional businesses. Dedicated, highly trained, and appreciative of your unique situation, we work to get the job done as quickly as possible. Whether you need parking lot repairs, asphalt line striping, or new installations, we can help. Reach out to us for a free commercial paving estimate. Each one of our asphalt paving services begins with a free paving inspection. Our experts consult with you on your residential or commercial paving project to see precisely what paving services you need. 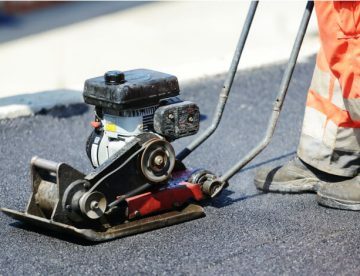 Once we determine what it is you need to achieve a higher quality piece of asphalt, we give you a written estimate that states the services we intend to preform. Our goal is to never surprise you with unexpected expenses. Reliable, honest, and experience, give our paving company a call to learn what asphalt services we can provide for you in Lancaster, PA. When you hire Lancaster Paving Pros to manage your commercial paving project, your asphalt is in good hands. As one of the top rated asphalt paving companies in Lancaster, PA we partner with commercial businesses to provide exceptional results as quickly as possible. From filling cracks to installing a new parking lot, we do it all. Trust us for your commercial services. Give us a call today for a free estimate. 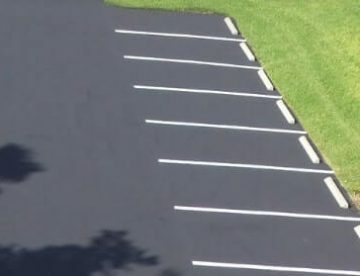 Parking lot resurfacing is a great way to protect your asphalt from damage and give it the new attractive finish you desire. Resurfacing repairs the surface layer of your asphalt. Instead of having tons of cracks and holes, your newly resurfaced parking lot will look brand new. Whether you have a small piece of asphalt that has cracks or if your parking lot does, we can quickly and efficiently seal cracks in your asphalt. We use the highest quality asphalt and repair materials to ensure your property looks brand new once again. To get a long lasting and high quality asphalt surface, it must be installed properly the first time. Fortunately, at Lancaster Paving Pros, we help our commercial clients achieve a polished finish the first time with our new asphalt installation services. We also provide commercial asphalt paving services that include sealcoating and parking lot striping. Sealcoating protects your asphalt from UV rays, premature damage, and cracking. Our parking lot striping services ensure that your parking lot is safe for your customers. If you need commercial asphalt paving services, Lancaster Paving Pros is a great option. We provide services for commercial businesses throughout Lancaster, PA. Whether you need a new parking lot, minor repairs made, or if you could just use a paving company near me to give you quality service, reach out to our team for a free estimate. If your driveway is in need of a new asphalt installation, the professional paving crew at Lancaster Paving Pros can help. We start by inspecting the condition of the ground below your driveway and look at drainage to see if that too is necessary. We are thorough. This gives you the confidence to choose our asphalt contractors for your driveway installation. Another service we provide is new driveway repairs. Your driveway doesn’t have to fall victim to serious potholes and cracks. After all, your driveway is an investment. Instead, you can choose Lancaster Paving Pros for premium driveway repairs that ensure your driveway always looks its best. Whether you want a few crack repairs or need resurfacing, we can do it all. Our asphalt maintenance services are another option. If you want your asphalt to look great for the longest period of time, then our sealcoating services for driveways are an excellent option. We also provide inspections to see what other areas your property could use support. Contact us for driveway maintenance. If you need a commercial or residential paving company in Lancaster, PA, you can turn to our team of paving contractors for the best results. From resurfacing, to new asphalt installations, to repairs, we do it all for a price you will like. Contact us directly to get a free quote for your next paving project. 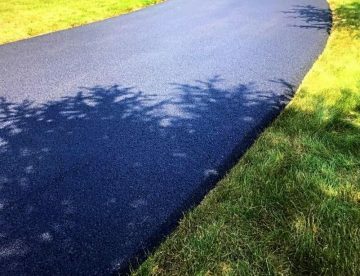 Lancaster Paving Pros is a full-service residential and commercial asphalt paving company in Lancaster, PA. We proudly serve the surrounding areas with premium services that start with a free paving estimate for our clients. Copyright © 2019 Paving Contractor Lancaster PA - Asphalt Driveways and Commercial Paving Company.